Here is where we share updates on our business including videos, photos, or just articles regarding current events or news about what's going on. If you have an event, there are several ways you can market it but one of the most effective ways is with a video. There’s no denying video gets the most attention of any content type and to market your event, video can be a huge help. On June 1, 2018 we worked with The Green Beret Foundation and Sig Sauer Academy to create a video of their Fundraiser event. It was held at the Sig Sauer Academy in New Hampshire and Green Berets along with family/friends were taught proper gun training and safety for the day. It was an amazing event for an even better cause. See the video below. This was the first of the now annual event and this video will help raise awareness for this years event on June 1st. Without this video, an event like this might have some pictures to help market it, or an article to recap the day, but a well-produced video with interviews from participants will really go the extra mile and get more attention. Now, it doesn’t just stop there. We made the video above to recap the day and help market it, but, you have to be conscious of where you’re distributing these videos. Along with making the 2:20 video, we recently created a 60-second video AD optimized for Instagram to help create more buzz now that it is under 6 months to the event. Check out that video here. As you can see, the content serves more than one purpose. We made 2 videos out of all the content we gathered, and could likely make another 1-2 videos if we needed. Being able to repurpose the content you gather is very important and now being able to promote the event with a video that is truly optimized for Instagram in terms of length and aspect ratio can make a big difference. If your brand or organization is having an event , or wants to create one, you have several choices of how to market it. But a video will be the best strategy to drive more people to your event, especially if you are distributing this video through social media. Social media is where consumers are and video is the most favored type of content. If you need help marketing your event and are considering video, we would be happy to talk with you and see how we can help. Fill out a form on our contact page or email us at hi@focusforwardmedia.com! You might be running some ads and posting content on Facebook, Instagram, maybe Google ads too. But what about Twitter? It seems that many people forget about Twitter or don’t pay much attention to it because they feel it isn’t valuable. However, if you read this article, you’ll find it is quite valuable and maybe it will inspire you to start using Twitter more! Much like Facebook, Instagram, Google and others, Twitter has a paid Ad product with two different options. One option is their ‘Twitter Promote Mode’ which automatically promotes your tweets and profile for a flat rate of $99 per month. It’s essentially an ‘always-on’ ad product, to learn more about it, click here. The other Ad product is basically called ‘Twitter Ads’ and is geared towards creating campaigns with a set budget and an objective. Some of the objectives are things like get more followers, gain more website traffic, get more downloads of your app, along with a few others. You create the campaign, you set the budget, you set the targeting, and the call to action so you can really advertise the way you want. There is a ‘quick promote’ campaign for select tweets, but at this point you’re better off setting the targeting, the budget, CTA, etc. to get a better result. To learn more about this method, click here. Now that you have a general understanding of the way Twitter Ads work, here are some stats that might surprise you. Advertising on Twitter is one thing, but you can get results by posting organic content too, especially if you’re starting out and not sure you want to pour significant $$$ into Twitter Ads. Twitter is a valuable place for content whether you’re putting money behind it or not. Here are some more stats. If you’re in the news/media business, good for you because 71% of people say they read their news on Twitter. Will you put some time into twitter now? We hope you found this info valuable! We know there are so many ways to advertise these days and figuring out the best methods can be a challenge, but we’re always here to help if you need it. If you found this article useful, we’d love to hear your feedback. If you have any questions for us, if you want to give us some feedback or want to see how we can help you, you can get in touch with us at hi@focusforwardmedia.com or by filling out a form on our contact page. Did you know we started a podcast? If not, you can check it out HERE. Or HERE for Android users. We just put up our 7th episode and we wanted to give you an update! We’ve had some amazing guests and it’s been a blast to hear their stories, get feedback, and most of all share these stories with you. This post is going to give you a quick breakdown of who we’ve had on the show! Matt Surette is a good friend of ours and someone who we work with fairly often. He’s a very talented photographer from the Boston area who, until recently, was working a full time job and doing photography on the side. He would work 80-100 hour weeks more often than not and he did that for 3-4 years before he got to the point that he was ready to leave his full time job and pursue photography full time. His story is incredible and for any creatives out there, definitely worth a listen! Cody is another friend of ours and someone who truly works extremely hard to live the life he has. 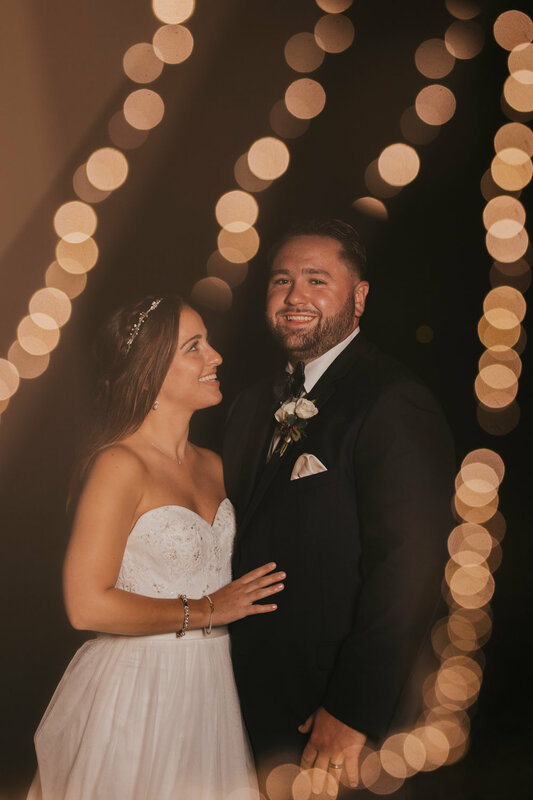 His career in the Marines and Military Contracting is not an easy one, but one that he loves and one that gives him the opportunity to travel the world and experience places he’s never been. He may work for weeks straight with no breaks but he gets to experience cultures and see parts of the world that he may never see otherwise. Cody shares his story of how he realized this was the path for him and how these experiences have changed his view on the world throughout time. Matt Celeste is a real hustler and has, as he calls it, “Career ADD.” Matt runs a wedding photo/video business called Blueflash photography but he also Founded and owned Waffle in downtown Providence. You may think Matt got a degree in photography or video or maybe culinary, but nope! His background was very different. At one point Matt was running 2 businesses while also trying to be a good father to his 3 kids. You can imagine how busy he was. Matt’s story is that of a true entrepreneur and more than worth your time to listen! There are several other companies that do what we do in RI and we’re fortunate to know some of them; Haus PVD is one of those companies. Austin and Henry are two talented guys who both did their own thing for a few years before meeting each other and combining their talents to create Haus. Their work is focused on lifestyle branding and they have some excellent work. We hear their story of how they got started, what they both do to keep the company going and the ways they try to stand out. If you’re a fan of video, you will love this episode! If you’re someone who enjoys desserts, you won’t want to miss this episode. Morgan Gray (WhiskMeAwayRI) is a pastry chef based in RI who hasn’t stopped hustling since college and we had the chance to talk with her. Her story is incredible; from Rhode Island to Boston and back, she’s had several ventures that got her to start her own business and it was amazing to hear. Morgan has a real passion for what she does, not to mention an amazing talent, and she has put that passion into every treat she makes. @Bunsandbites is a local celeb here in Rhode Island. Laura is the creator of this body positive food blog that she started herself a few years back. Whether you’re looking for advice, positivity, or recommendations on where to eat, this episode will help you out! Laura shares her story of starting this blog, how she stayed true to her message and she shares speed bumps and successes along the way. It was very interesting to hear the behind the scenes work that goes on and how she has stayed positive from day 1. Being a wedding DJ isn’t an easy job and there’s a lot that goes on that you may not know about. Frank Benway came into the studio and shared his journey from high school parties to weddings and everything in between. we hear about the day to day work, the long-term work, and the challenges of running a business while working full time and having a family. Frank certainly loves what he does and has learned a lot in his 19 years of being in business. If you’re in the wedding industry, you will definitely enjoy this one! Episode 8 will be out Monday March 25th, but you have plenty of episodes to listen to in the meantime! If you’re enjoying the podcast so far, we would love to hear from you; you can DM us on Instagram at @upinyourbizpod or you can email us - hi@focusforwardmedia.com. You can also ask us any questions there, and if you’re interested in being on the show, send us a message and tell us a little bit about yourself! Be sure to subscribe to the podcast, leave a review, and share it with friends and family. Thank you to everyone who’s reached out so far, we appreciate the support. One last time - HERE is the link to the podcast. You can also listen on Soundcloud if you don’t have an iPhone. While video is essentially a must for your marketing plan, we understand it can be a daunting process to start. If you’ve never done video before, you first have to decide whether you want to do it in-house or outsource it. One important thing to keep in mind is that you want the quality of the videos to properly reflect your brand. If you do it in-house, you now need to look into what camera equipment to buy, the right computer to buy, video editing software, and more. Also, you need to make sure the person you hire is familiar with the equipment, computer and software. If you outsource, now you have to look for companies in your area, meet with them, and choose one. It’s important to choose one that you get along with, who’s work you like, and who’s cost fits with your budget. So you’re ready to make a video! Where do you start? This is often a great video to make but it can be time consuming. We wanted to give you 3 video ideas here that can be an easier entry point to add video to your marketing. If you have a successful product or service and happy customers, then you’re ready for this one. Video testimonials are a great way to share your customers’ stories to people who may be on the fence. What’s unique about doing video testimonials is that it brings online reviews to life. Many people can read your reviews online but watching and hearing someone share their thoughts about your business can really make a difference. If you or your business gets a lot of questions, this can be a great option for people to easily learn about your business and get to know you. For example, if you are an IT company, you likely get a lot of questions. One way to set yourself apart would be to make videos of you answering common questions you get. When people visit your website and they have these questions, you’re giving them free value. Now they will likely stay on your site longer, be inclined to visit your site again with more questions, and more inclined to reach out to you when they do need your services because you’ve provided them with free value. Below is an example we actually created ourselves! This option is similar to #2. I’ll use an accountant as an example. If you’re an accountant and you make a video titled “3 Tax Tips For Small Business Owners” where you give small business owners tips on doing their taxes, you’re going to stand out and get more visitors to your site. You could even make a video called “3 Reasons Why You Need a Professional CPA” and you tell people why they should hire a professional to do their taxes. People appreciate free knowledge, and let’s be honest, most people don’t want to do their own taxes, they just want to save money. So if you can save them money and do their taxes, you win. That’s just one example, but this method can apply to many other businesses. Also, making these videos with mobile viewers/being mobile friendly in mind is very important. Thank you for reading! If you enjoyed this at all, pass it along to a friend or colleague and subscribe to our newsletter! While the majority of our work is video related, we do photography as well. Whether it’s for an event or for marketing purposes, we’ve done it! 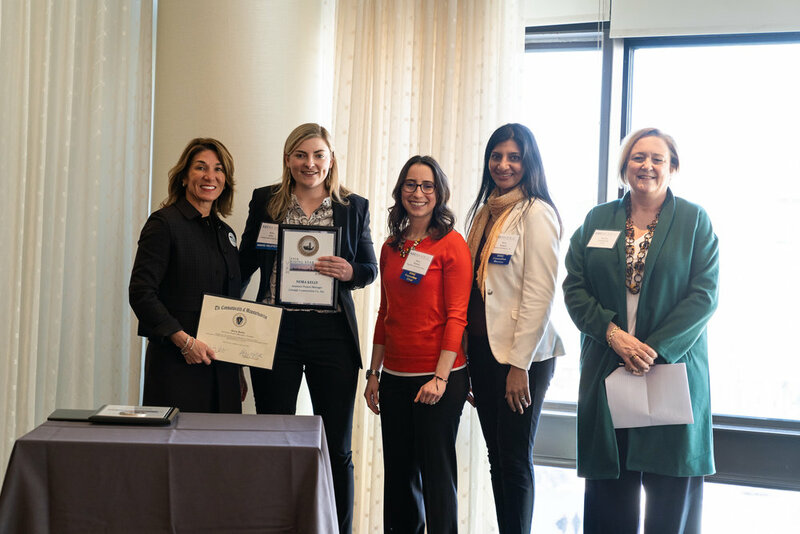 The AGC of MA held their 2nd annual BWiC Awards last week and we had the pleasure of photographing the event this year and last year. 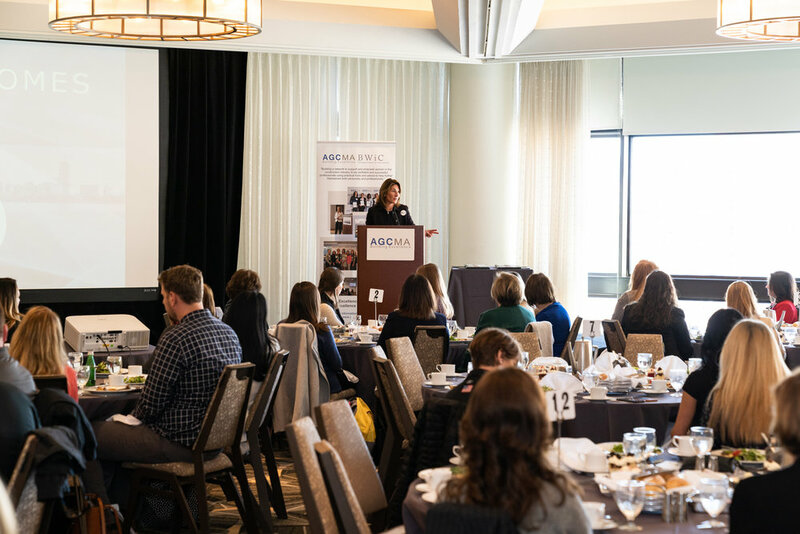 BWiC stands for Building Women in Construction and this event recognizes some amazing women leaders in construction. This year it was held at the Westin Copley in Boston, MA. 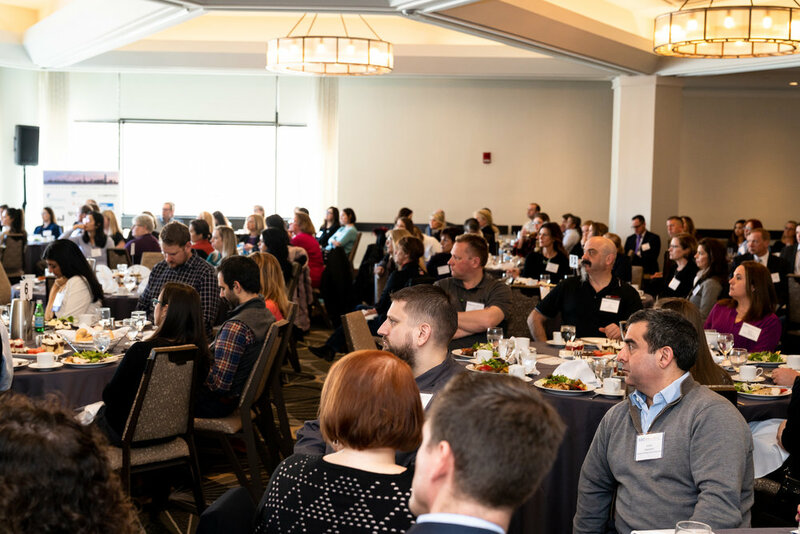 In 2018 the event had close to 100 attendees, with an estimated count of 150 for 2019. It ended up being close to 200 people this year! Lt. 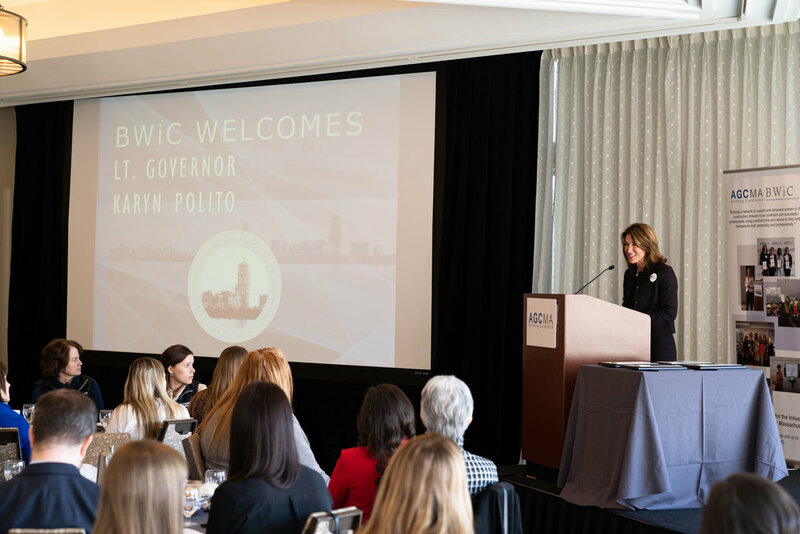 Governor Karyn Polito came to speak as well! 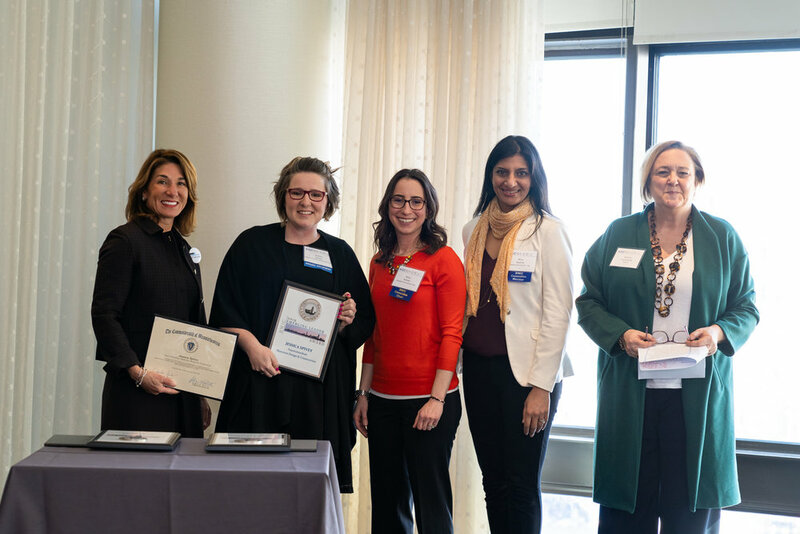 Congratulations to the 4 award winners! Thanks for reading, we hope you enjoyed this! If you did, you can subscribe to our blog here. Mike and Mike are at it again with brand spankin’ new content; same great quality, new medium. Introducing the Up In Your Business podcast. In this podcast you will hear the Mikes converse with like-minded entrepreneurs, freelancers, creatives, and more. The weekly show aims to capture insight into each individual’s perspective and journey towards both success and failure. To open up the inaugural episode, each Mike brought a topical conversation piece to the “pre-production” segment of the show. Mike pointed out the Apple Facetime glitch story that has recently caught fire on social media. The glitch allows a Facetime caller to hear and even see the person they are calling WITHOUT THEM EVEN PICKING UP! Once again, Apple raises concerns with consumers about privacy and security. Facetime calls get ignored all the time for good reasons. Use your imagination. Producer Mike followed up with Jeff Bridges’ Big Lebowski troll job. Apparently “The Dude” had hinted in a tweet at a sequel of the 1998 cult classic film. Bridges followed up days later with another tweet indicating there is no sequel, but rather a Super Bowl commercial. Jeff took us all for a ride on this one. A sequel would have really tied the room together. The Mikes welcomed the first guest on Up In Your Business, Matt Surette. Matt is a young Boston-based business owner and photographer. He is the brainchild behind Matt Surette Productions. Matt’s company provides photography, video, and other media services. Matt did not take a traditional approach to following his passion of photography and videography. When most kids his age were graduating and planning on going to college, Matt had not set his sites on such a conventional path. Please listen to the maiden voyage of Up In Your Business to hear the rest of Matt Surette’s story. His story is one that can bring value of all types to listeners. Whether you are looking for a fresh take on entrepreneurism, figuring out your path, or just want to hear a cool story; you can find it all on Up In Your Business. Listen to the episode here! In December of 2017, we received an opportunity to interview Kevin Flike. Kevin, a quiet and humble guy from Weymouth, Massachusetts, is a former Staff Sargent in the US Army Green Berets. On September 25, 2011, Kevin’s life changed forever. He was 7 months into his second deployment, based out of Kunduz, Afghanistan. During a routine valley clearing operation, he encountered and engaged in a firefight against the Taliban with his 11 other teammates and the Afghan Commandos they had been training for over 2 years. After being pinned down for 11 hours, Kevin was seriously wounded from a gunshot wound to the stomach and it was uncertain if he would even make it out alive. However, without missing a beat, his team risked their lives carrying him throughout the warzone and eventually getting him to a spot where he was able to be safely medevac. It just so happened that one of Flike's teammates had a bodycam on and captured all of the events from that day. After almost a year of editing and gathering old photos and videos, we were able to assemble our short documentary, Wounded By War: The Story of Kevin Flike. The documentary takes you along Kevin's journey from the live footage of his rescue, to the major obstacles and hurdles he needed to overcome in order to recover. From questioning whether he will live, life changing medical procedures, PTSD, drinking and addiction to painkillers, Kevin brings us along his entire journey of recovery. In November of 2018, we had the honor to stand alongside Kevin and the Green Beret Foundation in order to premiere the documentary to over 200 people at the Fairmont Copley Hotel in Boston, MA. All of the proceeds from the ticket sales went directly to The Green Beret Foundation. Originally, we had our goal of $10,000 for the night. Due to the generosity and support of the sponsors, everyone who attended, as well as donations from those who could not make it, almost $35,000 was raised for the foundation. We were blown away by the final number and cannot thank everyone enough. The Green Beret Foundation focuses on Green Berets who have been wounded, their families, and the families of our fallen. They have a strong focus on addressing the needs of Green Berets as they transition back into civilian life. We plan on continuing to premiere the documentary across the country but if you cannot wait for us to come to your town, it is available for purchase off of Vimeo on Demand. Just simply click this link: https://vimeo.com/ondemand/wbw and you are able to buy the documentary instantly. All of the proceeds will go towards benefiting The Green Beret Foundation. As a company, this was a story we felt the public needed to hear. Not everyone is aware of what the men and women of our armed forces go through both abroad and while they are home. We felt putting out Kevin’s story would help further that understanding, while also raising money for a great cause. We would like to thank everyone who came out and supported us at the premiere, bought the documentary and/or donated their hard earned money. Men and women like Kevin put their life on the line everyday so we can live free and while they will never ask for anything in return, it is always amazing to see the public come out in support. Also, make sure to check out the video we made for The Green Beret Foundation’s fundraiser at The Sig Sauer’s Shooting Academy. This was the first annual event put on by Kevin Flike, now a Green Beret ambassador. Donors were able to be trained by Green Berets and Former Green Berets while they showed them how to handle firearms. The day was full of fun, stories and just an overall good time. The next event will be on June 1, 2019 – every ticket sold is a donation straight to the Green Beret Foundation. Happy Friday! We hope your day is going super well. We put out all this content about us, what we do, what we're up to, blah blah blah. But what about you? We want to switch it up and hear from you. First of all, we appreciate you being subscribed to our blog and checking out what we do. But what good is this if we never really know who you are? We don't want to be selfish. We want to get to know you a little more; we're two friendly Mikes and we like people, so tell us who you are! If and when you have a minute, send us an email at hi@focusforwardmedia.com with the subject "Hey Mike!" and tell us who you are, where you work, and what you do! We would really enjoy getting to know our audience. That's it! We just enjoy meeting new people and want to know who we're sending out emails to! We hope you have a great rest of the day, and an incredible weekend.